Casio America, Inc. is excited to announce the introduction of its connected cash registers, the PCR-T540 and PCR-T2500 to the U.S. market. Designed for businesses, medium and small, Casio's new PCR-T540 and PCR-T2500 are equipped with Bluetooth connectivity to Android/iOS smart phones/tablets and a variety of support tools to keep tabs on real-time reporting and manage efficiency via the cloud. "Our new machines take into consideration our customers' wants and needs, and provide a low cost solution to help their businesses run more efficiently," said Lawrence W. Sampey, General Manager of Casio's Systems Products Division. "Leveraging the latest Bluetooth technology, the PCR-T540 and PCR-T2500 are both sleek and compact and available for a price point that rivals others on the market." The PCR-T540 and PCR-T2500 offer Bluetooth communications capabilities, which eliminate the need for extra cabling and allows the terminals to be a placed in a location that best suits the needs of the business. Via the CASIO CONNECT App running on Android/iOS devices, users can easily setup, transfer program data to the cash register and execute daily X/Z reports via the Bluetooth connection. The CASIO CONNECT app will transfer the X/Z sale totals (financial, transaction, department, cashier, PLU, group & hourly) automatically to a remote Cloud server at no additional expense. Casio's new machines offer single and multi-store owners the ability to view sales remotely in order to evaluate and make instant operation decisions. A convenient dashboard on the CASIO CONNECT App provides a quick snapshot of sales, number of transactions, and a calendar of daily historical sales, while a graph shows the daily sales for the day, last week, month or year. Additionally, users can use the built-in Electronic Journal to see the cash register operation record and sales report. The new terminals boast an ergonomically-designed cabinet and pedestal with a durable metal outer frame. They are equipped with a new 10-line LCD adjustable operator display with a blue back light, a built-in thermal printer that churns out 20 lines per second, and an easy to view, pop-up swivel rear customer display. 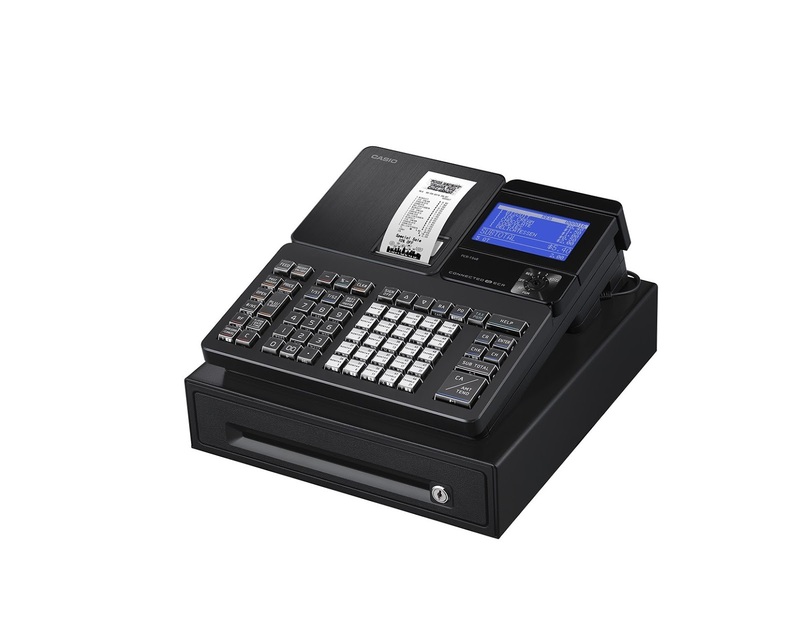 Casio's PCR-T540 and PCR-T2500 also come with a RS-232 port for a credit card terminal/scanner, one (1) cash drawer port and one (1) SD Card slot that provides the ability to save and reload programs. The PCR-T540 (MSRP: $299.99) and PCR-T2500 (MSRP: 399.99) will be available in late October. For additional information on Casio's full portfolio of POS and electronic cash registers, please visit www.Casio4business.com.